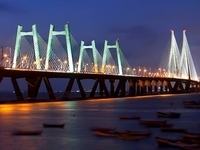 Travelers are voting Bandra-Worli Sea Link, Vashi Bridge and Airoli Bridge as the best of 3 bridges in Mumbai. There are 1 bridge in Pune a city just 148 km from Mumbai and 1 bridge in Ankleshwar which is 330 km distant. The most popular of these are Shivajinagar Station – Swargate Skywalk in Pune and Golden Bridge in Ankleshwar. 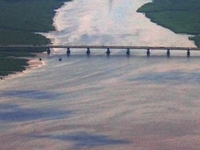 You can find 6 bridges in Maharashtra and 60 bridges in the country of India. 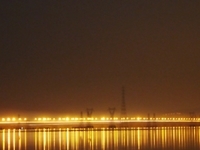 Our members favorite in Maharashtra is Bandra-Worli Sea Link and Howrah Bridge is the top pick in India. Want more? Check out our map of bridges in Mumbai.